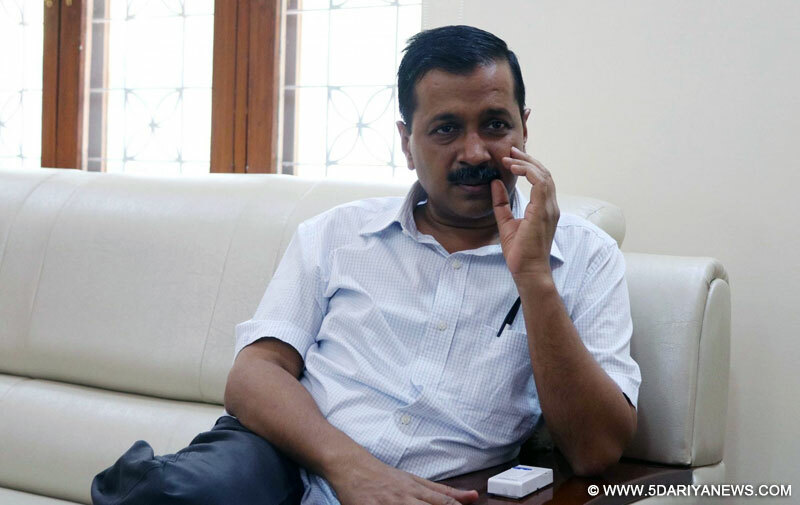 Delhi Chief Minister Arvind Kejriwal on Monday slammed the media for 'blacking out' his speech at the opening of the Signature Bridge on Sunday, wondering whether newspapers were petrified even of BJP MPs. "Almost the entire Delhi media has blacked out my speech and has refrained from writing that a police officer was assaulted and bottles thrown on stage. I understand media's fear of Modi. But media so petrified of even a BJP MP?," Kejriwal tweeted.The Aam Aadmi Party leader wondered if the "Delhi media (is) completely in Modi's grip".After missing many deadlines, the iconic and much-awaited Signature Bridge on the Yamuna was inaugurated on Sunday by Kejriwal and opened for the public on Monday.The inauguration came after a clash between BJP and AAP workers at the site, with BJP Delhi unit chief Manoj Tiwari, also an MP, clashing with AAP supporters and allegedly grappling with policemen.